Probably the most important factor that governs how the captured image appears is the angle at which the light falls on the target. There are two major lighting areas as shown in the diagram, 'front lighting' where the light originates from the same side as the camera, and 'backlighting', where the light source is situated behind the target. To understand the terms bright field and dark field, we replace the test object by a perfect plain mirror. Bright field refers to any illumination where the light rays from the source are reflected from the mirror directly into the lens. Dark field refers to any illumination where the light rays are not reflected into the lens, but only a proportion of light that is scattered by an uneven surface. These main illumination techniques can be achieved using different products. 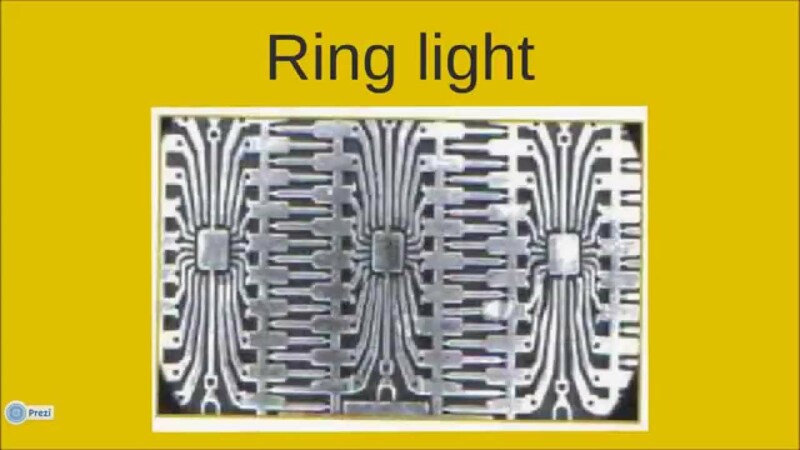 This short tutorial gives you insights into methods of illumination for machine vision in order to improve your inspection results. If you want to learn more about illumination, visit one of our on-site illumination trainings.